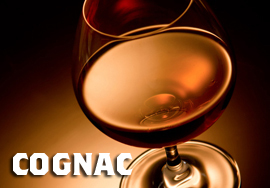 Cognac, Armagnac, Brandy… different names for a similar product. But certainly not the same. 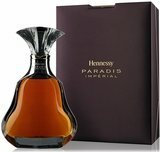 Named for a town in France where it is produced, Cognac is often considered to be the best. 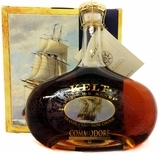 Distilled from wine on a pot still and then aged at least two years in French Oak, cognac is sweet, rich and nuanced. It is classified according to age. VS- for a minimum of two years, VSOP- for a minimum of four, XO or Napoleon- at least six years, and Hors d'Age- Even. More. Old. 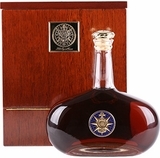 For Martell VSOP aged in Red Barrels, our cellar master selected only these very rare "red fine grained oak barrels" to age this cognac, highlighting Martell specific ageing style. Nose: At first, the bouquet is round and fresh, run through by intense fruity notes. The aromas of fresh yellow stone fruits, like cherry plum and baby Reine-Claude, are gently coated by subtle mellowed woody notes. Once in motion, the power of its aromas grows and gains depth, with fleshier fruits such as apricot or vine peach chiming in. Mouthfeel: In the mouth, it has a full, broad attack and unveils the same intense fruity tones – small plums and honeymoon peaches and apricots. 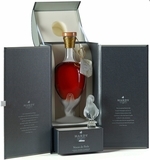 The fruity flavours are marvellously enhanced by delicate notes of sweet spices from the wood of the russet barrels – the very same barrels that create that perfect balance between the expressiveness of the eaux-de-vie and refinement of the spiced notes.